Posted by peterong in racism, Tim Keller. Thanks to Karis blog, I found out that Tim Keller was featured on Christian Broadcast Network (CBN) here. I remember when I was a kid, I would stumble on CBN and always amazed at the on air healings that Pat Robertson would pronounce. I would always wait for him to say, “Oh I see a chubby Asian boy, with a rice bowl haircut, he has been praying for a miracle, to have the one Asian girl in his elementary school like him. I see the heart of that young girl grow fond to him. I can sense that she is falling in love with this oriental boy” (I wouldn’t be surprised if he said that after his insensitive on-air remark here). It is strange that Tim Keller would allowed to be interviewed by CBN here given his reticence towards giving interviews. But it was an even portrayal of the movement that Redeemer is trying to accomplish. I am thankful that he is gaining a broader audience and the challenge of bringing an orthodox view of Christianity to urban dwellers. It reminds that there is a yearning for this city, that is so fast and so temporal for something deep and rooted in hope in the midst of our tragic idols. 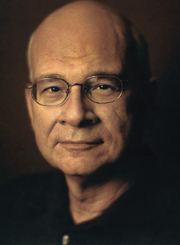 Thanks to DJ for sharing this link to Tim Keller’s recent sermon on Job here. Stayed Tune…for my review of “Reason for God” by Tim Keller. If you would like to join me to discuss the book at a Friday brown bag lunch at Bryant Park Area in New York City email me at peter at palmny dot org. It will be a good time for us to meet folks from Living Faith Community Church and friends who are interested in talking about faith matters. If you are interested in visiting the church I will preaching this coming Sunday on “A People Worthy of the Gospel” Philippians 1:27-30.